240 kilometers straight to the poodle parlour! The last week was a tough scooter week. I had to ride 240 kilometers on my scooter in just four days. 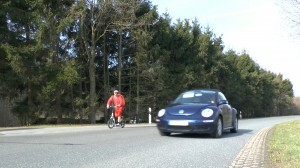 Here the daily results: 66 (daily record so far), 58, 57 and 60 kilometers. I made it, but my legs felt rather like hot rubber or some sort of jelly. Then another problem: My GPS has led me again along main highways, which is just too dangerous riding a scooter. It has to be reprogrammed now to lead me along bicycle paths. But this will mean that I might have to ride 3000 instead of 2473 kilometers to finish my 80 days challenge. Oh no!! 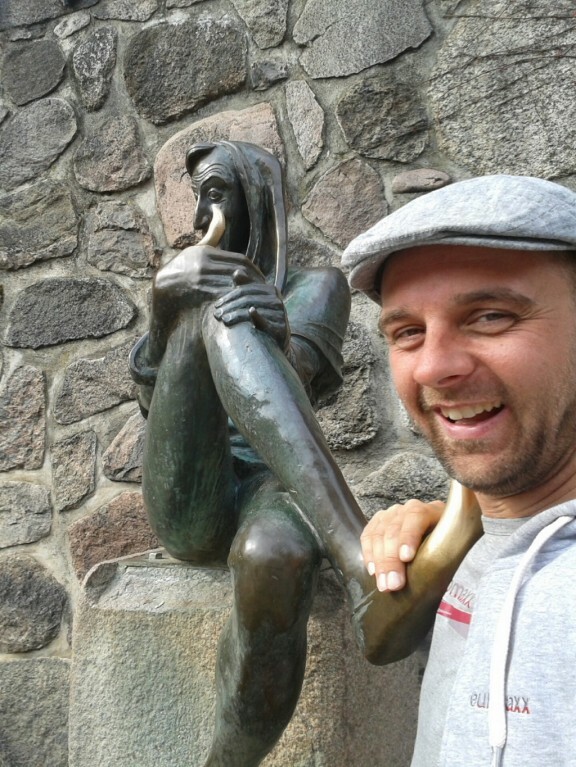 After a short stop over at the historical Eulenspiegel fountain in the town of Mölln, I finally reached my destination Uelzen. There I visited the “Sonnenfell” salon which specializes in making dogs feel good: Massages, haircut, happiness treatments, etc. Your dog can feel like a human here (if it actually wants that!). 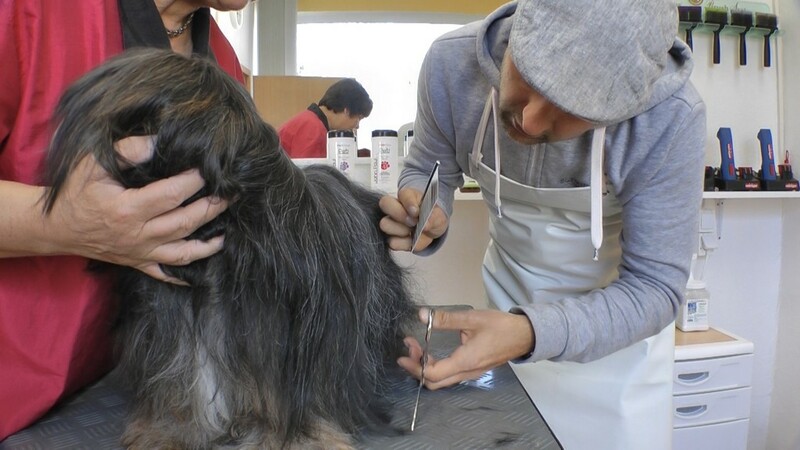 Anyway Cornelia Sievers, the owner, explained to me, that the modern dog cannot refresh and regenerate itself like its ancestors so her salon comes in as a great help. I asked if the dogs might not find this exaggerated, but she referred to Japan, where dogs even get dressed as puppies sometimes. Oh no!